Historically, enforcement has been at the heart of Fire Safety. The Regulatory Reform (Fire Safety) Order 2005 (Fire Safety Order) places the emphasis on risk reduction and fire prevention. Under the Order, people responsible for commercial buildings i.e. the employer, owner, or any other person who has control of any part of the premises, are required to carry out a mandatory detailed fire risk assessment identifying the risks and hazards in the premises. The risk assessment must be recorded if you have a total of five or more employees. 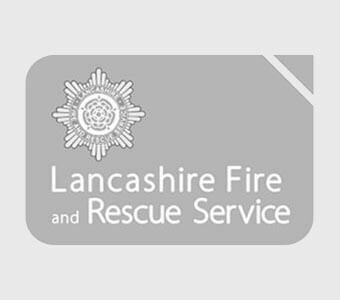 The Fire Safety Order requires Places of Worship to undertake a comprehensive risk assessment to identify any possible dangers and risks, as well as the people who may be at risk. Record, plan instruct and train – staff training (record these); look at having marshals on each floor (women and men) plus an emergency plan should be prepared covering what to do in case of fire. Relevant people should receive instruction in what to do. Review your fire risk assessment – The risk assessment process should be reviewed. This typically means checking it is still current if any changes take place to the premises and in any event checking at least once per year to ensure it is up to date. The attached assessment leads you through the areas that you need to consider in a logical and thorough way. More guidance for your particular building can be found in Guidelines. There are also downloads available below if you wish. In many premises a fire may be obvious to everyone as soon as it starts. In these cases, a simple shout of ‘fire’ or a simple manually operated device, such as a gong, whistle or air horn that can be heard by everybody when operated from any single point within the building, may be all that is needed. Fire fighting equipment can reduce the risk of a small fire developing into a large one. The safe use of an appropriate fire extinguisher to control a fire in its early stages can also significantly reduce the risk to other people in the premises by allowing people to assist others who are at risk. Everyone in your premises should be able to escape to a place of total safety unaided and without the help of the fire and rescue service. However, some people with disabilities and others with special needs may need help from staff who will need to be designated for the purpose. People in your premises must be able to find their way to a place of total safety if there is a fire by using escape routes that have enough lighting. In simple premises, where the escape routes are straightforward, borrowed lighting, e.g. from street lamps, may be acceptable. Where borrowed lighting is not available, suitably placed torches may be acceptable for the use of stewards only. Daily – Remove bolts, padlocks and security devices from fire exits ensure that doors on escape routes swing freely and close fully, and check escape routes to ensure they are clear from obstructions and combustible materials, and in a good state of repair. Weekly – Test fire detection and warning systems and manually-operated warning devices. Check the batteries of safety torches and that fire extinguishers and hose reels are correctly located and in apparent working order. Monthly – Test all emergency lighting systems/safety torches to make sure they have enough charge and illumination. This should beat an appropriate time when they will not be immediately required. Check that fire doors are in good working order and closing correctly and that the frames and seals are intact. Six-monthly – A competent person should test and maintain the fire-detection and warning system. Annually – The emergency lighting and all fire fighting equipment, fire alarms and other installed systems should be tested and maintained by a competent person.